If there is one thing I know about movies and cinema culture, it’s that the bigger a movie fan you are, the more likely it is that you are one of those people who likes to collect merchandise and memorabilia related to your favorite films and characters. 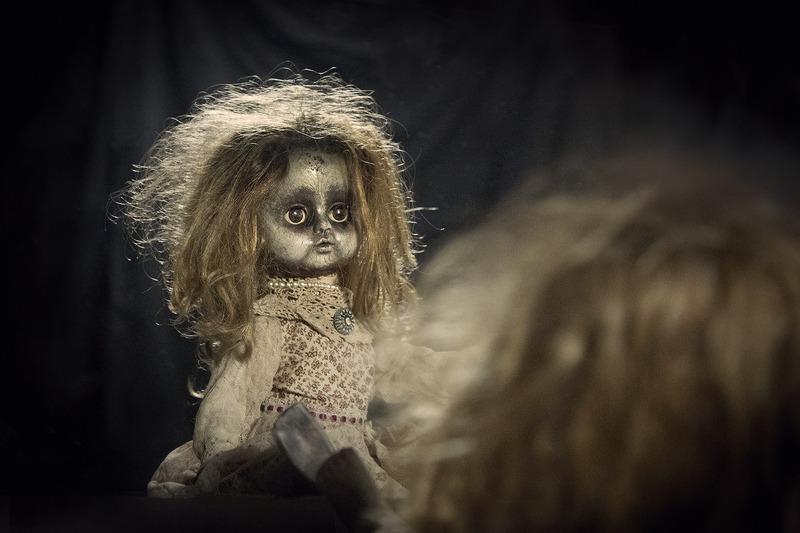 Some would argue that fans of horror movies in particular are, on the whole, very avid memorabilia and novelty gift collectors of everything related to the movies they love the most. 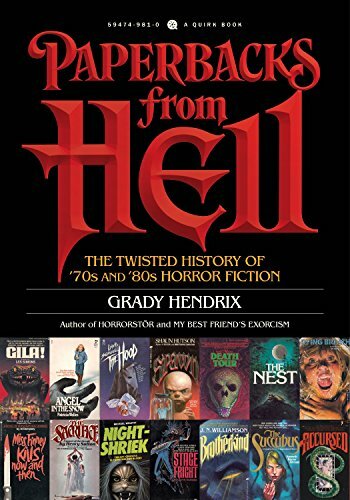 If you or somebody that you know is a big horror buff, then you might be wondering what to get them for their birthday, or even for Christmas, if you’re planning ahead. 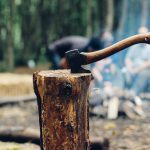 Check out the list below that highlights some of the best gift ideas you can find on the web for horror fans. Jason Voorhees, the main villain of the Friday The 13th movie franchise, is without a doubt one of the most iconic characters in horror history. 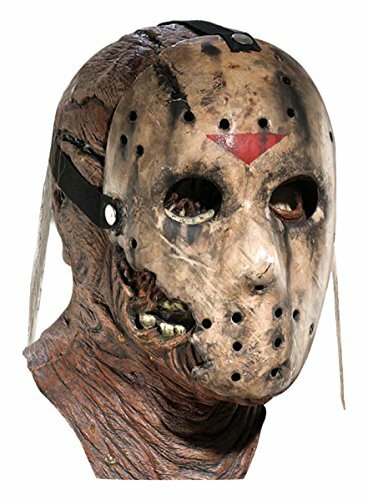 Jason’s defining feature is the hockey mask that he wears to cover his terrifying undead face, and this amazingly detailed replica is a great gift to give to someone looking to cosplay, or even to keep as memorabilia! This is the perfect gift to give to somebody who is currently in the process of redecorating a room in their home. 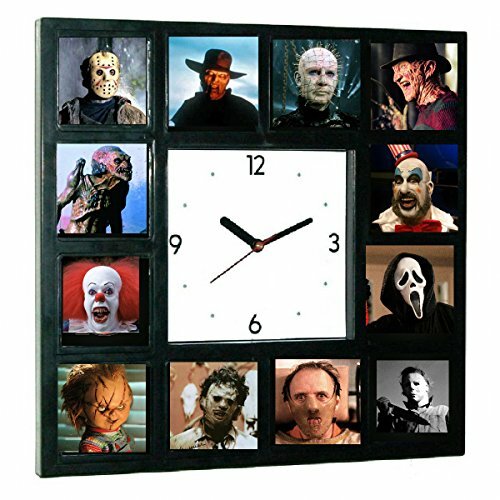 The easy to read clock face is surrounded by pictures of some of the most iconic horror villains in movie history including Hannibal Lecter, Pinhead, Chucky, Leatherface and Ghostface from Scream. It would be fair to say that American Horror Story has completely revitalized the genre for a TV audience, taking it out of theatre screens and putting it back in to everybody’s home to scare them on a weekly basis! 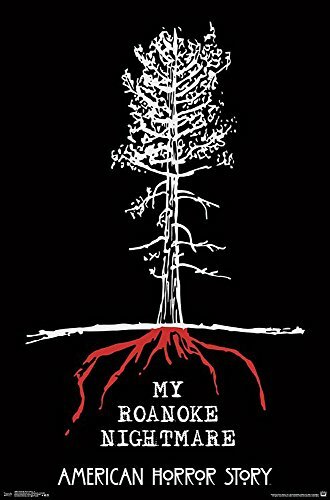 The most recent season, My Roanoke Nightmare, was really ambitious in its multi layered storytelling, and included some of the scariest and most gruesome moments of the entire series to date! When you think about iconic horror movie characters, one of the first names on everybody’s list is always, without a doubt, Freddy Krueger. The concept of a monster who catches you even in your dreams hit a horror nerve with a lot of people, and that’s why the Nightmare On Elm Street movies are still as popular today as they were back when they were first released. 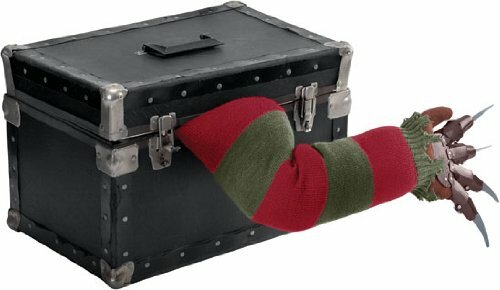 The scariest part of Freddy was always his razor-sharp finger gloves, and you can add a jumpy scare to any party by installing this fun trick arm prop that will give people a fright when it moves to grab them! It would be fair to say that only Game Of Thrones is more popular around the world than The Walking Dead, one of thebest examples of TV horror out there today. 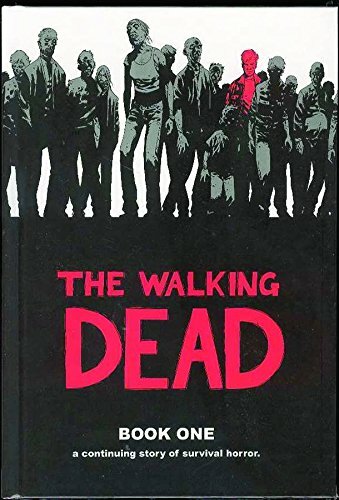 If you’re looking for a gift for someone, and they have only ever watched the on-screen version of the story, then why not buy them the first graphic novel of the series? Looking for something special and cool for a female horror movie fan in your life? Look no further than these insanely cool hanging earrings that display none other than the terrifying head of the one and only Jaws! This shark is solely responsible for generations worth of movie lovers never wanting to go into the ocean again, and the iconic score for Steven Spielberg’s 1975 movie has become synonymous with any kind of dread and fear in any situation! Thanks mainly to Alfred Hitchcock’s shower scene in the iconic 60s horror movie Psycho, bathrooms have long been used a prime location for murder and mayhem in many scary movies ever since. You can create your very own murder scene in the bathroom of your choice using this really cool bath mat that portrays a bloody footprint design. 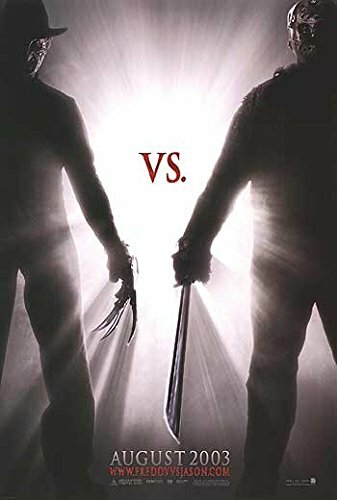 It’s not often in the world of horror that two iconic characters from two separate franchises get to interact and meet on screen, but this happened in a big way when Freddy met Jason! The film definitely had its critics but it also had a lot of fans too, so if you know somebody who loved the movie, then buy them this poster so they can put their fandom on display. There is no doubt that the best aspect of horror is the amazingly grotesque and frightening visuals that it spawns. 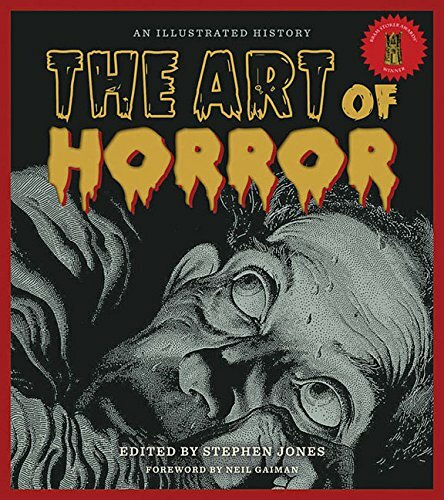 This wonderful illustrated book takes a deep dive into the history of horror and the iconic images that are associated with the genre. 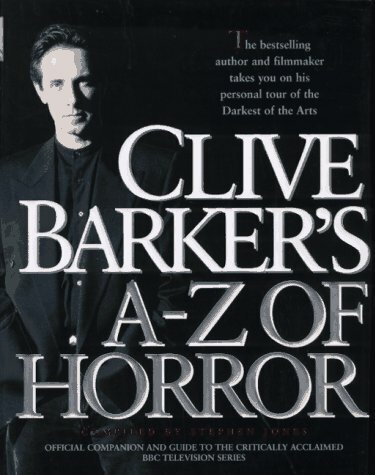 A really great gift for any horror fan. 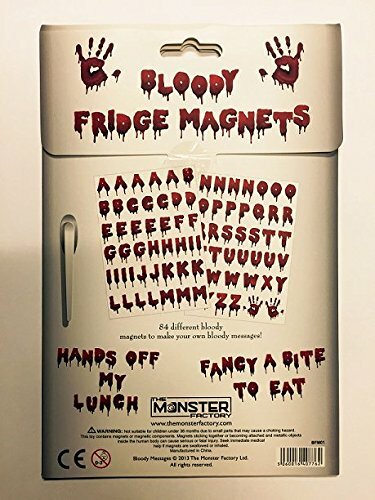 These fun magnets are a great gift to give somebody who loves horror movies to make creepy messages for unsuspecting victims. With these scarily designed letters, you can write a message for your roommate and listen out for the scream that comes out of their mouths when they wake up and read it! 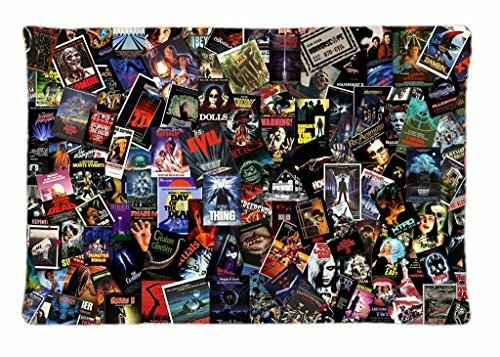 Add an instant touch of movie magic to any room with this awesome cushion cover that displays dozens of posters of some of the most iconic classic horror movies in cinematic history. 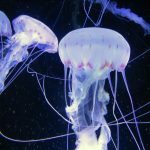 From The Thing to The Blob to Day Of The Dead, all the favorites are there to enjoy! 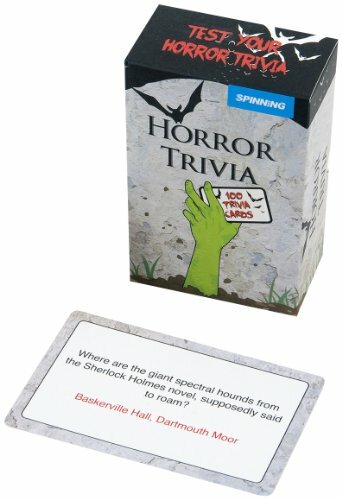 Test the knowledge of any horror fan you know with this set of fun trivia cards. You’ll be able to determine the true horror buff among you once and for all! 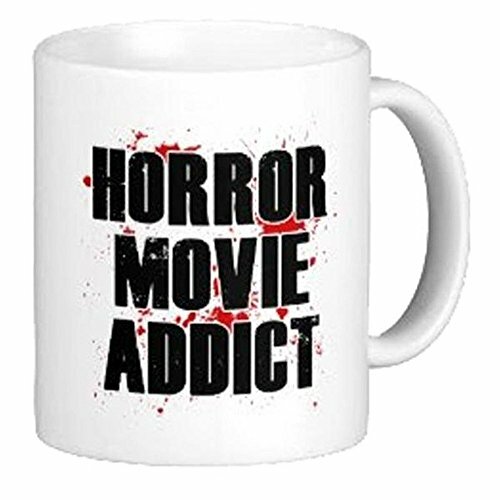 Give this mug to any horror fan them and they will finally be able to scream their love for the genre loud and proud during office coffee breaks. It’s a fair but that they will definitely have the scariest coffee mug in the entire building! 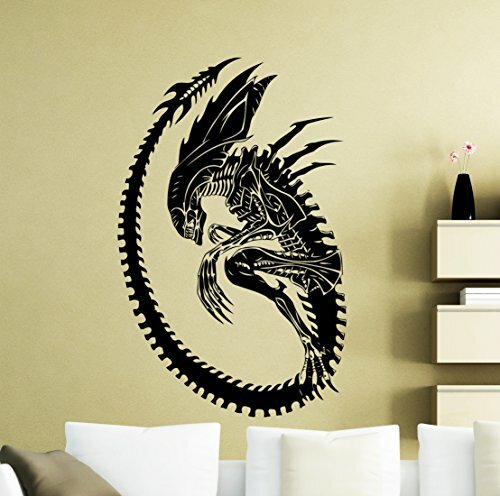 The Alien franchise is the perfect marriage of the horror, action and sci-fi genres, and the terrifyingly skeletal design of the monster in question makes for a great wall decal that would be pride of place in any cool game room! 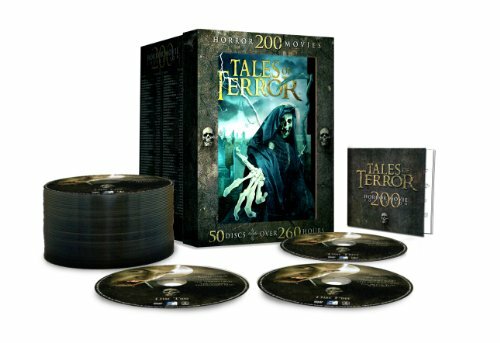 Any self-respecting horror fan surely has plenty of DVDs, but this box set is pretty incredible! It contains 200 classic horror movies from early hits like Nosferatu to some of the innovative Japanese horrors that became mainstream in Western cinema culture. 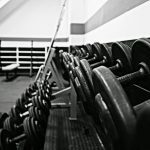 There are so many to get through, it’s a really worthwhile gift! One of the best guides to the genre by the man himself. 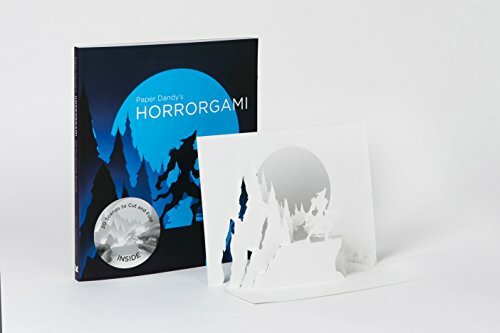 Horrorgami gives ghoulish delight to fear-lovers who like to play with scissors. Create 20 spine-chilling scenes. What could go wrong? Some bedtime packed with morbid delights. Sweet dreams for any true fan. Did you enjoy this selection of gifts for horror fans? We have so many excellent gift ideas. 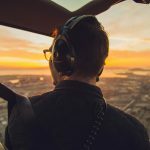 If you’re looking for unisex gift ideas, head on over to our gender neutral gift ideas page. 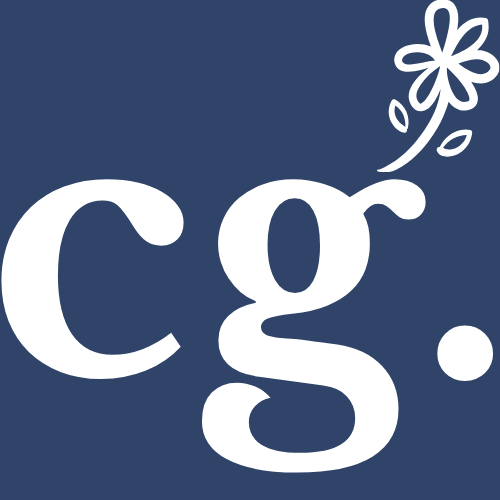 We have a huge selection of gifts for all ages, all tastes and all budgets.